Broadcasting Live on 88.9FM KXLU This Saturday Night! This Saturday night/Sunday morning from midnight to 2:00AM PST (07:00 - 09:00 GMT), I will be a guest on Mystic Pete's "In A Dream" radio show. We will be broadcasting in Los Angeles on 88.9FM and streaming worldwide at www.KXLU.com. Expect to hear 60's & 70's Euro soundtracks, library gems, global disco edits, cosmic funk, and groovy sounds from Italian & French lost archives! 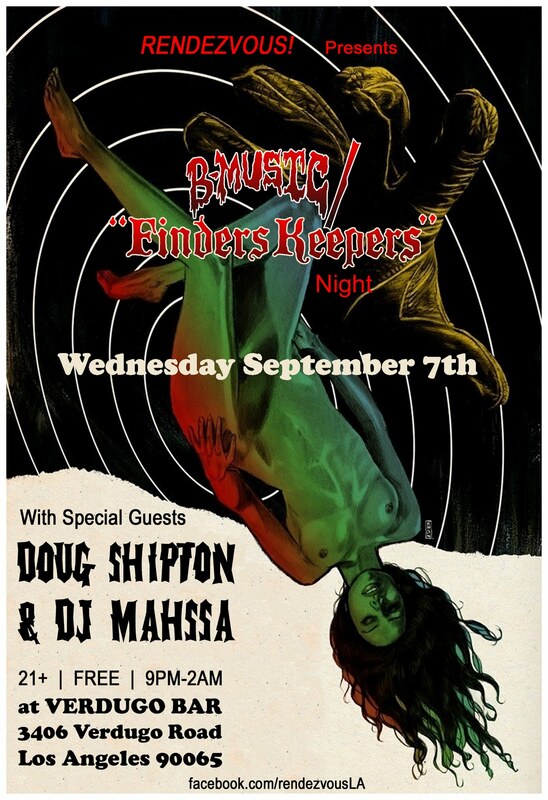 I will also be paying special homage to one of my favorite labels, Finders Keepers! 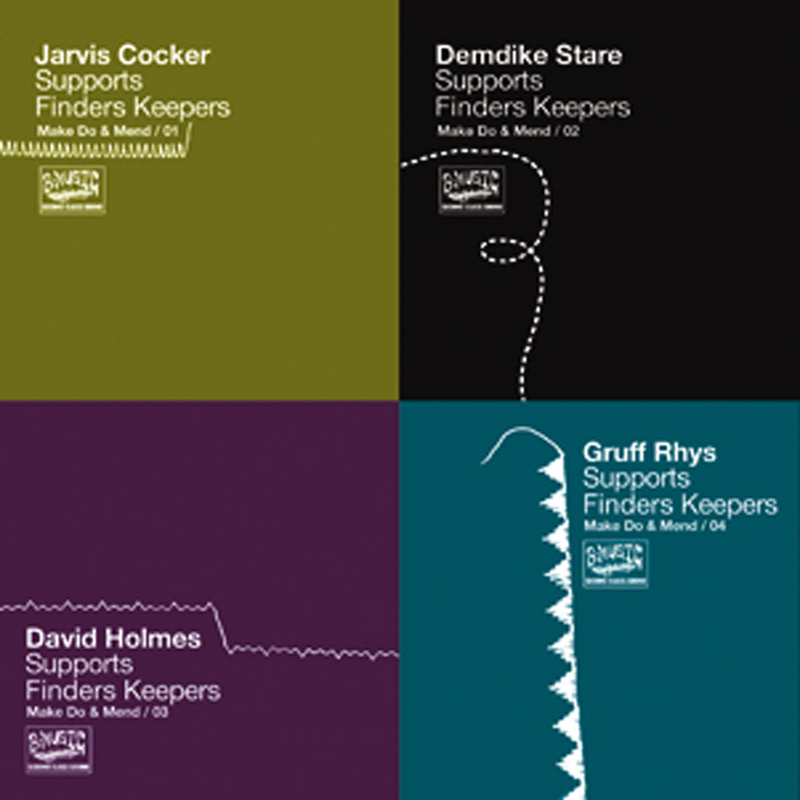 B-MUSIC/FINDERS KEEPERS RETURNS TO RENDEZVOUS! Join us on Wednesday, August 31st for a special edition of RENDEZVOUS! 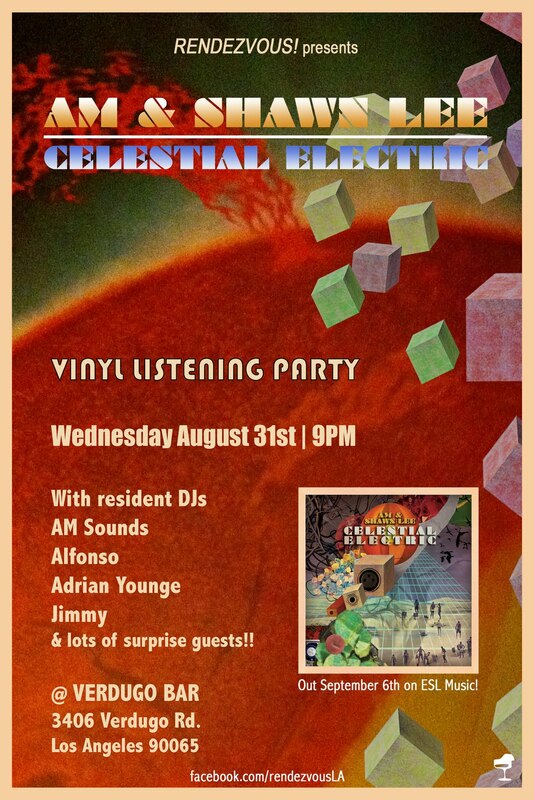 We will be spinning the test pressing of AM & Shawn Lee's new album, 'Celestial Electric' (out September 6th on ESL Music). Also, besides Mr. Lee himself, we will be joined by many surprise guest DJ's! You don't wanna miss this one! PLUS late night eats from the Nacho Truck! 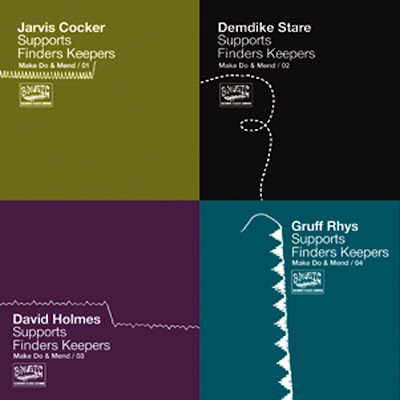 "In response to the Finders Keepers/Twisted Nerve/Bird/Battered Ormnaments stock loss in the PIAS warehouse fires caused by rioting on August 8th a few of our close label mates have come together to compile some of their favourite moments from the Finders Keepers family discography. A series of 10 limited edition CD and MP3 compilations curated by the likes of Jarvis Cocker, Demdike Stare, David Holmes and Gruf Rhys including some exclusive and unreleased tracks are now ready to order directly from the website and like minded retailers in a bid to ease us back onto our feet releasing phantastic obscure and obselete music as soon as possible. For the next five months we will present 10 limited edition albums (one every 2 weeks) kindly compiled by B-Music stalwarts and friends, including Jarvis Cocker, Demdike Stare, David Holmes and Gruff Rhys (amongst others) choosing their favourite songs from our expansive catalogue, as well as featuring exclusive songs, edits and remixes. Volume one, compiled by Jarvis Cocker is available in our online shop and digital shop now!"